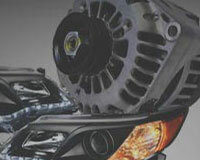 We are your most reliable online source of Ford Transit-350 parts on the web today. We are dedicated to providing you with the best service possible! Your factory parts order will be packaged professionally and shipped promptly. 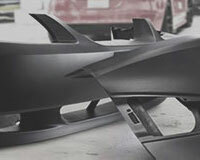 For the best variety of discounted OEM parts and accessories, always choose Ford Parts Prime! Ford Transit-350, as a full-size van, has been produced by the great American multinational automaker Ford Motor Company since 2013. Also, belong to the Ford Transit lineup, Ford Transit-350 was also introduced exclusively for North American market and to replace the Ford E-Series. Jointly designed by Ford of Europe and Ford in North America, Ford Transit-350 could be regarded as a global developed vehicle. As a cargo van and a passenger wagon, Ford Transit-350 is also designed to compete with Nissan NV Cargo NV2500 HD, GMC Savana 3500 and Nissan NV Cargo NV35000 HD. Ford Transit-350 also made its debut at the 2013 North American International Auto Show in January in Detroit but went on sale in North America in the summer of 2014 for the 2015 model year as the fourth-generation Ford Transit's North American version. It is offered in twenty-six versions and could accommodate up to fifteen passengers. It comes with two wheelbase lengths, three body lengths and three roof heights and twelve kinds of versions and is equipped with ABS, driveline Traction control, front air conditioning with manual mode, AM/FM stereo, seek-scan radio, keyfob remote keyless entry and vinyl seat trim. Ford Transit-350 has three engine options: a 3.7 L V6 gasoline engine producing 275 horsepower, a 3.5 L turbocharged V6 engine making 310 horsepower and a 3.2 L inline 5-cylinder turbo-diesel engine developing 185 horsepower. All these engines are coupled with a 6-speed automatic transmission. First, engine failure. This is a most familiar issue that any drivers may meet when the vehicle borders on breaking down. But if your Ford Transit-350 has this issue prematurely, then you need to be alert. According to some experienced Ford Transit-350 drivers, before the engine fails completely, these signs would arise first. A loud knocking noise from engine, roughly-running or misfiring, shaking engine are all signs. Meanwhile, engine performance would also deteriorate quickly so that vehicle loses power while acceleration, consumes more oil than usual and suffers from starting issues. 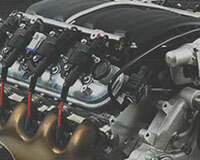 Once the Check Engine Light in your Ford Transit-350 comes on, you are advised to inspect the rod bearing, motor and transmission mount, crankshaft pulley and valve cover gasket thoroughly. Second, suspension and braking issues. Suspension issue is not as serious as engine failure, but it could still affect your driving trip a lot. Based on some Ford Transit-350 owners' experience, at first, maybe you could only hear clunking sounds from underneath the vehicle, then tire wear becomes uneven and vehicle tends to tilt to one side. Gradually, you feel harder to control the vehicle because of intense car vibration and bouncing and loose steering wheel. 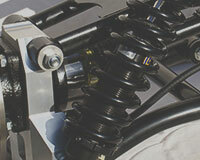 And the Transit-350 wheel bearing, shock absorber, and coil springs are often the culprits. As for braking issue, the Transit-350 brake pad set and brake disc need replacements. 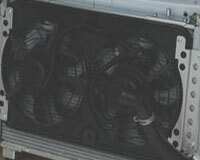 As a complicated item as Ford Transit-350, it is not an easy task to complete when it comes to routine maintenance. In order to save you time and energy, we here offer you some clues. The windshield wiper is usually made of soft rubber but works under adverse weather conditions all the time so that drivers vision won't get blocked. You are supposed to replace it every six to twelve months to make sure your driving safety. Other parts such as headlight, wheel cover, wiper arm, antenna and antenna base are also important in creating comfortable and safe driving environment. They should be on your routine maintenance list as well. When it comes to how to choose parts replacements for your Ford Transit-350, please always remember OEM Ford Transit-350 auto parts should be your exclusive option. 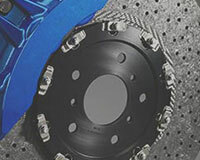 Price is never an obstacle as FordPartsPrime.com offers a comprehensive selection of lowest-priced manufacturer-warrantied genuine Ford Transit-350 auto parts. In order to create a most satisfying shopping experience, all these OEM Transit-350 parts are allowed to be returned without a hassle and delivered at the quickest speed to your door step by international carriers.